There is some scholarly dispute about exactly when in Shakespeare's writing career he wrote the Taming of the Shrew, but many authorities place it in his early period, probably about 1592-94. There's a great deal of evidence that the version we now usually see performed is a revision of an earlier work by Shakespeare or someone else, which was known as The Taming of A Shrew, or was a completely Shakespearean "improved version" of someone else's work. In both versions, the play is "framed" by a so-called Induction, which presents the Shrew story as a play-within-a-play performed to beguile a drunken tinker, Christopher Sly. Whatever its origins, Shrew has had as colorful a production history as many another Shakespearian comedy. Audiences so liked the battle of wills between its principal characters, Kate and Petruchio, that John Fletcher wrote a sequel to it in 1611, in which a widower Petruchio is himself tamed by a determined second wife. The play suffered the fate of many a Shakespeare piece in the period of the Restoration and early 18th century, being "simplified" in adaptations which cut out all but the main couple's infighting, before being rediscovered as a fine piece in its own right during the early 19th century. The piece has always had great success onstage in all its forms, and with the coming of the 20th century became the inspiration for the Cole Porter musical Kiss Me Kate and a particularly rambunctious film version by Franco Zefferelli in 1966, made even more riotous by the real-life combats of the movie's stars, Elizabeth Taylor and Richard Burton. What is of equal significance with the play's onstage popularity, however, is its position as a lightning rod for critics in the 20th and 21st centuries, who have enthusiastically analyzed it, advocated for it, and attacked it as a means of furthering their various theories about literature and its relationship to society. 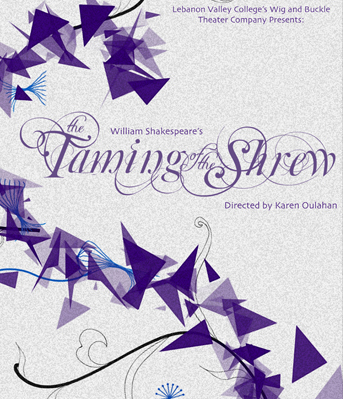 At the center of Shrew lies one of Shakespeare's favorite social structures--a dysfunctional family. A rich merchant, Baptista Minola, wants to extend his fortune by using his daughters to form alliances with other families of wealth and influence (which is why the rich married who they did in the Bard's day and often still do today). He has a favorite daughter, his younger, Bianca, who is outwardly what every young grandee appears to want—dutiful, desirable, docile, and possessed of an immense dowry; Baptista's trouble is that his older daughter, Katherine, should by tradition be married first, and Kate—eclipsed in her father's regard by Bianca—is froward, meaning obstinate, opinionated, and outrageously unwilling to submit to a parental (or any other male) authority which does not value her personal sovereignty. A host of conventionally comic suitors (and their equally conventional comic servants) try to separate Bianca from her greedy and overprotective father while steering clear of the violent Kate, using a confusing series of disguises. 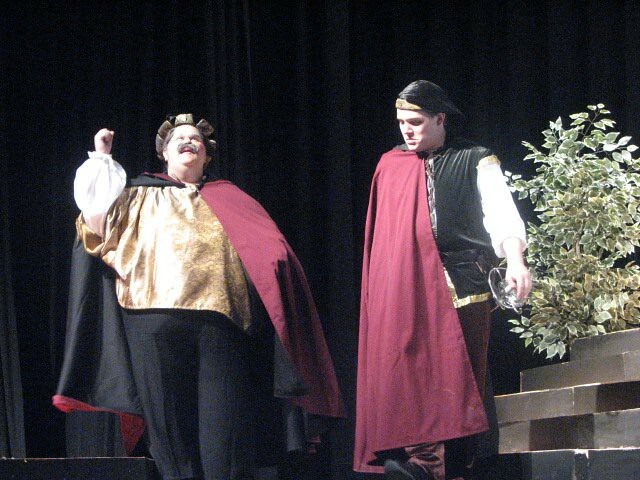 One suitor, the madcap Petruchio, whose outrageousness matches Kate's, determines to win her while being paid by the other suitors to remove the obstacle in the path of their pursuit of her more "marketable" sister. Given these materialistic and patriarchal motivations, it's no wonder that Shrew attracts violent critical responses; some scholars have seen the play as confirmation of the misogyny of early modern European society, others as a realistic view of the way Western civilization sees women as property and pawns in a capitalistic society. Other critics rush to Shakespeare's defense, claiming that Kate is a protofeminist heroine or an individual who sets the play's materialistic world at defiance. Directors over the last 50 years, influenced by the changes in critical argument and in our social values, have made Petruchio into everything from a brutal wife-beater, to a jailer using methods straight out of Abu Ghraib to break Kate's spirit, to a Roaring Boy looking for a soul mate, while they've also brought us Kates who end up abuse victims, brave and blithe spirits turned into Stepford wives, ironic undercutters of male smugness, or playful partners for game-playing Petruchios. Our director, Karen Oulahan, has constructed a traditional-dress interpretation of the play which retains its Christopher Sly framing story and shows a much-maligned and violent Kate confronted by a Petruchio who can mirror her willful behavior back to her, a choice which pits two breakers of social norms against the society in which they must try to live successfully. For a pair of characters that more than one critic has labeled "the happiest married couple in all of Shakespeare," Karen's choice is one that unleashes great power on both sides. In bringing this controversial piece to you, Wig & Buckle has had to learn complex techniques, explore diverse interpretations, and has again found that there's a reason why Shakespeare has continued to delight, annoy, disturb, and entertain audiences for 400 years. Enjoy the show!